The “Edition 35mm” is the special EDDYCAM for your high-quality LEICA M, Fuji X, Sony 7, Olympus OM-D and other specific cameras. Style and elegance are combined with functionality. 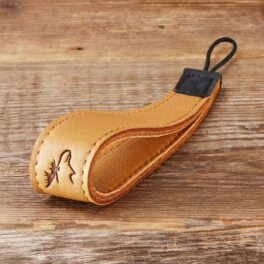 In this particularly elegant variant, the outside is black and the inside is equipped with even softer natural-colored elk leather. The leather ends, the tape and the four powder coated steel clamps are black. The natural-colored seam forms an interesting contrast to the black exterior. The new width “35mm” is reminiscent of the classic film format and allows to wear the camera in a comfortable way, even without the usual EDDYCAM rubber insert. Designed specifically for your camera, this EDDYCAM comes with camera leather protection and triangle rings. 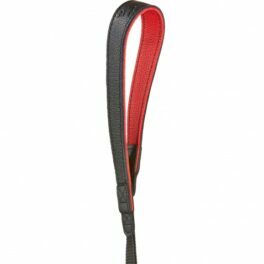 As with all EDDYCAMs the patented strap shape is designed either to wear on the shoulder, over the neck or diagonally. The total length is 155cm, thus providing ample scope for individual adjustment. 5 years warranty. Including camera leather protection and camera rings. The “Edition 35mm” is the special EDDYCAM for your high-quality LEICA M, Fuji X, Sony 7, Olympus OM-D and other specific cameras. Style and elegance are combined with functionality. 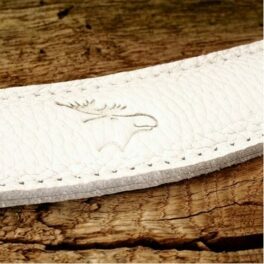 In this particularly elegant variant, the outside is black and the inside is equipped with red-colored elk leather. The seams and leather ends, the tape and the four powder coated steel clamps are black. The new width “35mm” is reminiscent of the classic film format and allows to wear the camera in a comfortable way, even without the usual EDDYCAM rubber insert. 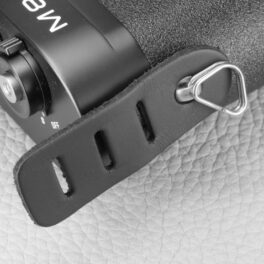 Designed specifically for your camera, this EDDYCAM comes with camera leather protection and triangle rings. 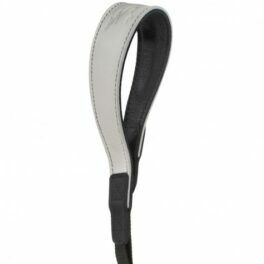 As with all EDDYCAMs the patented strap shape is designed either to wear on the shoulder, over the neck or diagonally. The total length is 155cm, thus providing ample scope for individual adjustment. 5 years warranty. Including camera leather protection and camera rings. The “Edition 35mm” is the special EDDYCAM for your high-quality LEICA M, Fuji X, Sony 7, Olympus OM-D and other specific cameras. Style and elegance are combined with functionality. The “Edition 35mm” is the special EDDYCAM for your high-quality LEICA M, and other specific cameras. Style and elegance are combined with functionality. In this particularly elegant variant everything is black – from the outside and inside of the seams and leather ends up to the four black powder coated stainless steel clamps. The new width “35mm” is reminiscent of the classic film format and allows to wear the camera in a comfortable way, even without the usual EDDYCAM rubber insert. 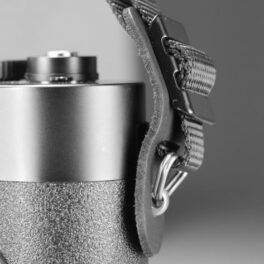 Designed specifically for your camera, this EDDYCAM comes with camera leather protection and triangle rings. 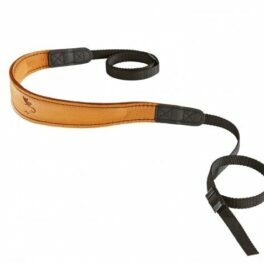 As with all EDDYCAMs the patented strap shape is designed either to wear on the shoulder, over the neck or diagonally. 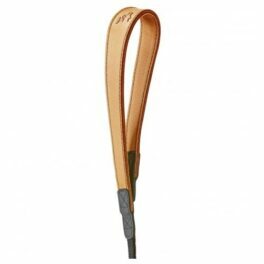 The total length is 155 cm, thus providing ample scope for individual adjustment. 5 years warranty. Including camera leather protection and camera rings. The EDDYCAM Fashion is perfect for customers looking to combine style and elegance with maximum functionality. 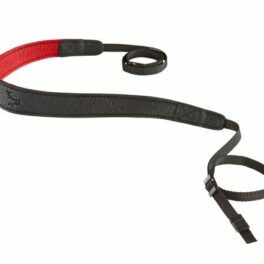 The red version is red on both the outer and inner sides, with red stitching, black leather ends and black webbing. 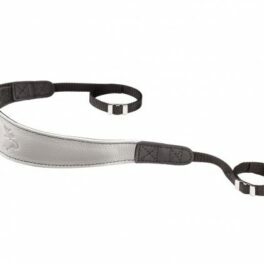 Also supplied with stainless steel clips to allow the strap to be adjusted to the perfect length. The EDDYCAM Fashion is perfect for customers looking to combine style and elegance with maximum functionality. 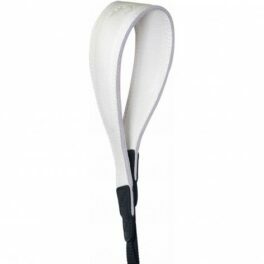 The white/black version is white on the outside, with a black inner side and contrast stitching, black leather ends and black webbing. 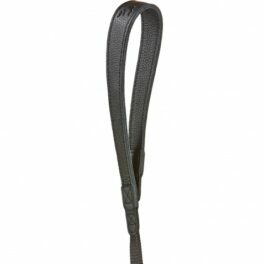 Also supplied with stainless steel clips to allow the strap to be adjusted to the perfect length. 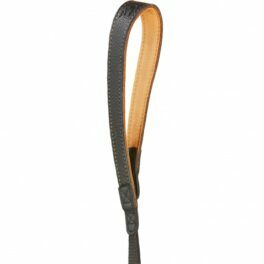 Hand strap Sling -1 – built for absolute security and a comfortable fit. 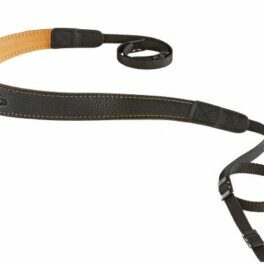 As with all EDDYCAM camera straps the exterior is soft elk leather, the inside elk leather with even softer wearability through special treatment. Camera mount with special yarn for absolutely secure grip strength and tear resistance. Maximum weight: 3 kg. 5 years warranty. The EDDYCAM Fashion is perfect for customers looking to combine style and elegance with maximum functionality. The white version is white on both the outer and inner sides, with white stitching, black leather ends and black webbing. 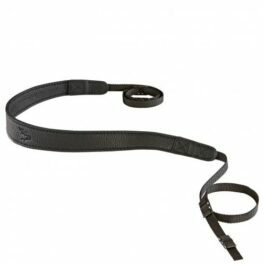 Also supplied with stainless steel clips to allow the strap to be adjusted to the perfect length. 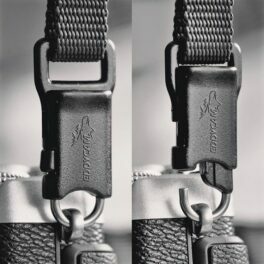 EDDYCONNECTION – the reliable hook for the camera strap EDDYCONNECTION is the perfect connection of the camera strap and the camera to quickly and securely connect it and remove it. 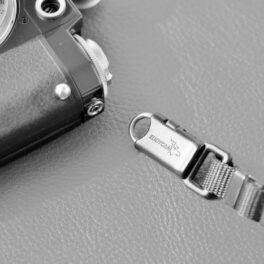 The small plastic attachment with an in-tegrated stainless steel security hook is firmly fixed to the camera strap. EDDYCONNEC-TION can be now easily detached and reattached to the camera by simple finger pres-sure on the safety button. The EDDYCONNECTION can handle up to 2,2kg of camera weight. CAMERA PROTECTION – the reliable protection from scratches for cameras with eyelets or root face The high-quality camera protection by best cowhide leather coalesces with the strong stainless steel clips: a direct contact between metal on metal is avoided to the camera body due to the durable cowhide leather. Therefore, scratches on the camera are ruled out. Protects your camera against scratching. 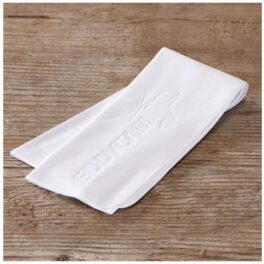 Microfiber cloth 25x30cm – the high-tech cleaning cloth Around 250 kilometres of yarn put in the high-tech cloth, which is made of 70 percent polyester and 30 percent nylon. The fibres have an extremely high absorption power as they are divided 16-fold. Cleaning the lens, monitor and camera viewfinder is a cinch. The microfiber cloth is only available in white. Thus, you know when the cloth needs to be cleaned. The EDDYCAM microfiber cloth is a high-tech development. The quality of the fabric is particularly suitable for the cleaning of high quality cameras. Of both the lens and also for the monitor and viewfinder. The EDDYCAM microfiber cloth is “so smooth” that sliding on the highest quality cameras is a pleasure. Clean your camera before and after each use! You get particularly well cleaning results, if you get by breathing a damp fog film on the to-clean surface. Then clean in a circular motion the surface. 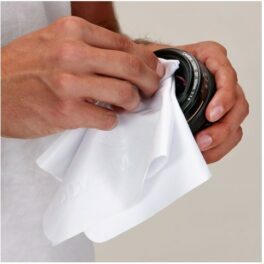 The EDDYCAM microfiber cloth is white, so you can see how dirty the cloth. Clean if necessary: Allow to dry Hand wash separately at 40°C /104°F with a little mild detergent, then rinse thoroughly (detergent must be rinsed completely), dry on air! Do not iron! NOT together in the washing machine with other materials! Do not use a fabric softener! Do not use the same cloth for your glasses! Material: Polyester 70% Nylon 30% Weight 180g / m³ Fiber strength: 4.2 T The fibers are 16 times split by high absorption and Absorption of moisture.